and Anywhere Else that Duty Calls! What if the Homeowner (seller) has already had a Home Inspection? Should I still have my own Home Inspection performed (as a buyer)? Absolutely! Why? Although it was smart, sensible and useful for the Homeowner to have a pre-listing Home Inspection performed - that Inspection was not performed for you as the client - and as such, the inspection report is not your report. As to say, that Inspector (or inspection company) has an agreed responsibility and legal confidentiality with the Homeowner (client), and has no such agreement that includes you (the buyer). Any limitations in the inspection that may have been agreed upon between the Homeowners and their Inspector. 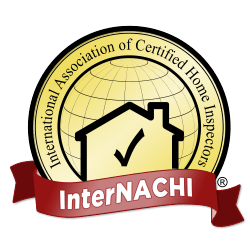 The actual qualifications of the Homeowner's Inspector at the time of inspection. The validity of the inspection report - can you be 100% sure that report pages have not been removed, lost, or manipulated. The validity of any stated or described repairs that may have been performed as related to the Homeowner's inspection report. Were the repairs actually completed? Were the repairs performed in a professional fashion by a qualified contractor? The inspection fee for a typical one-family house varies geographically, as does the cost of housing. Similarly, within a given area, the inspection fee may vary depending on a number of factors such as the size of the house, its age and possible optional services. Does All Property Evaluations LLC perform New Home Inspections? Yes. A.P.E. is Certified and licensed to perform New Residential Inspections. Will All Property Evaluations provide estimates of repair costs? No. Such estimates will need to be obtained by qualified contractors. Will All Property Evaluations perform repairs on the inspected items of our property? No. Repairs should be performed by qualified contractors or specialists. Will All Property Evaluations refer specific contractors (by name) to perform repairs on our inspected property? No. As a courtesy - when necessary - we will suggest the type of specialist or contractor that would typically perform certain repairs or evaluations. Copyright 2014 All Property Evaluations. All rights reserved.